A surreal landscape unfolded as we wound our way through the silvery morning light. Huge sculptural rock outcroppings literally shape-shifted as we drove passed them. 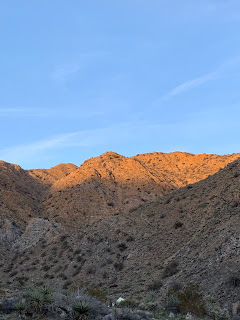 I could feel the dessert breathing and whispering deep in my bones. 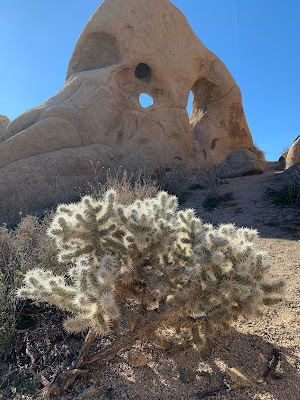 A holy sanctuary of desert wisdom surrounded us and you could sense it everywhere. 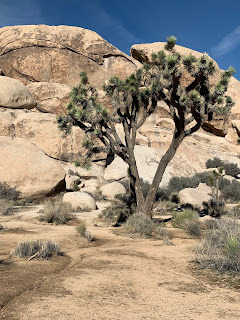 I knew nothing of these plants, these rocks, these trees, these shapes and textures. It was like falling in love with a beautiful stranger. The thing about discovering a new landscape is that it is a bit like discovering a new part of yourself. 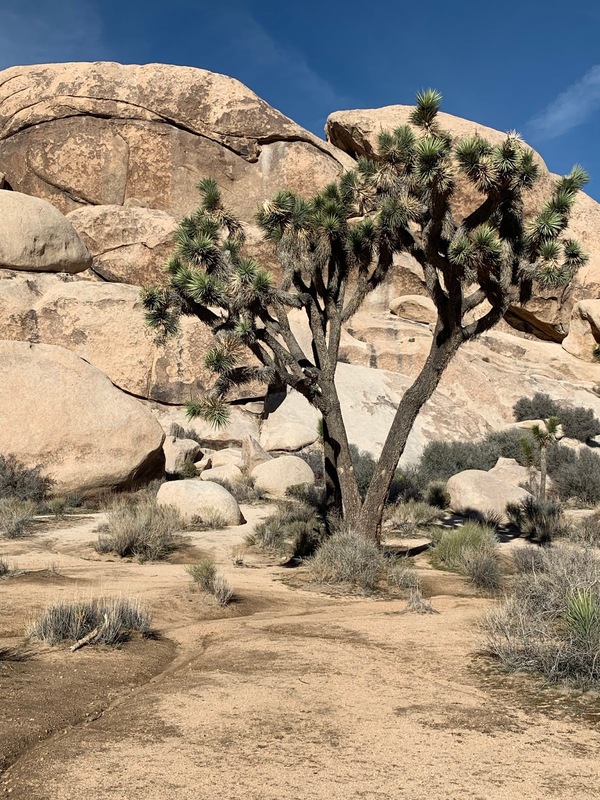 There is an inner landscape that resonates with the outer one. 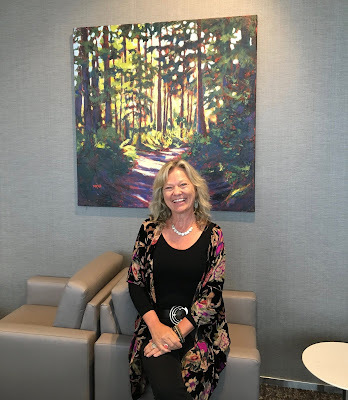 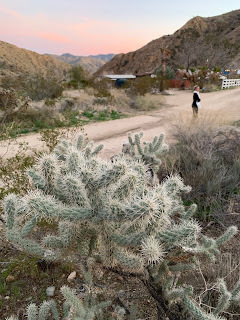 The artist Lawrence Fodor says, "The way I work, in all its intuitive configurations, is generally a trail of discovering via random wandering - either in the haunts of my studio or anywhere else I travel and explore. As artist, the beauty, and all the revelations therein, is in stumbling onto the unexpected when we are in the midst of looking/not looking for something else entirely - that sensorily aware state of not assuming anything, not purposely looking for anything in particular completely in touch with the moment where we happen to be." 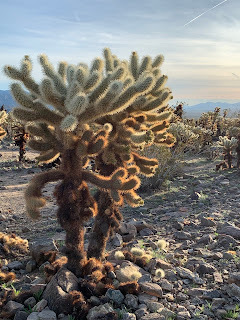 Our destination that morning was Cholla Cactus Garden. 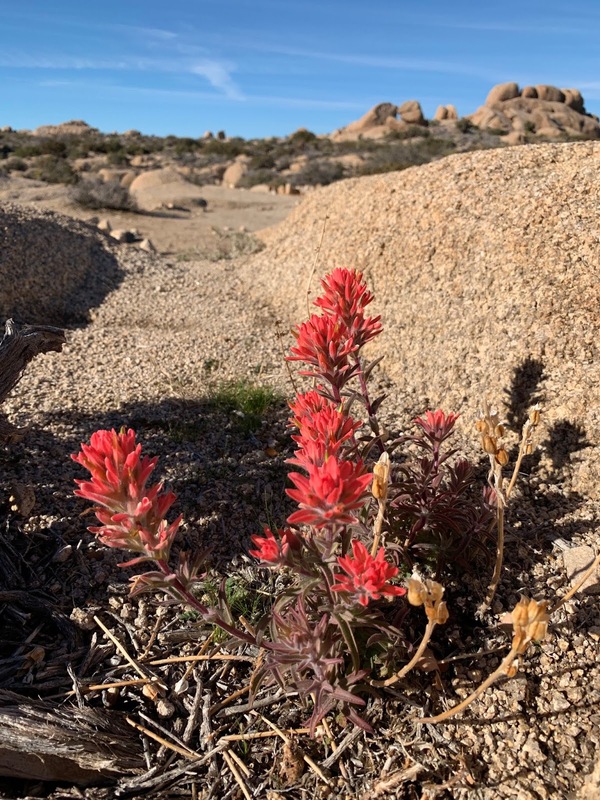 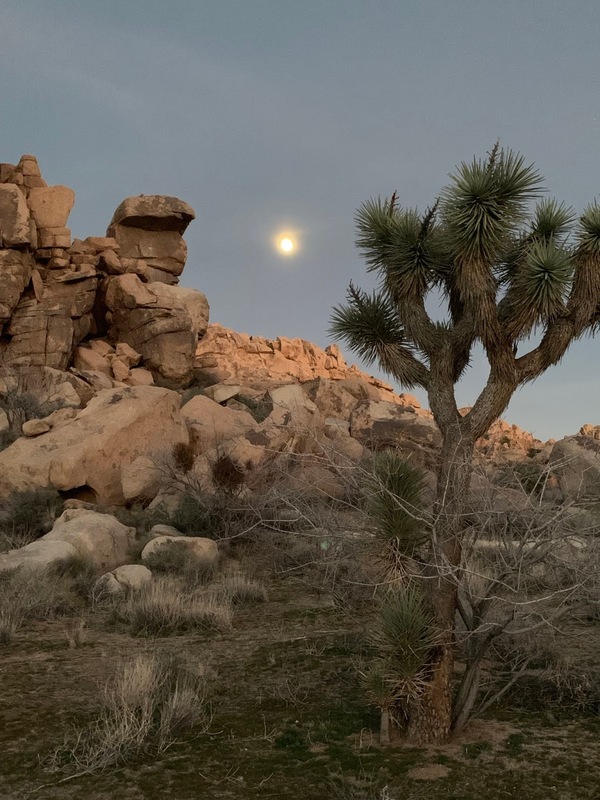 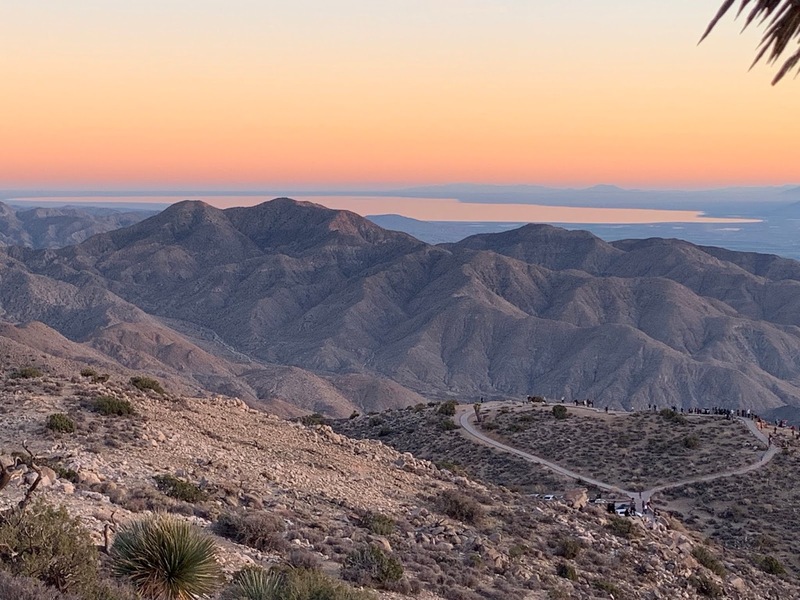 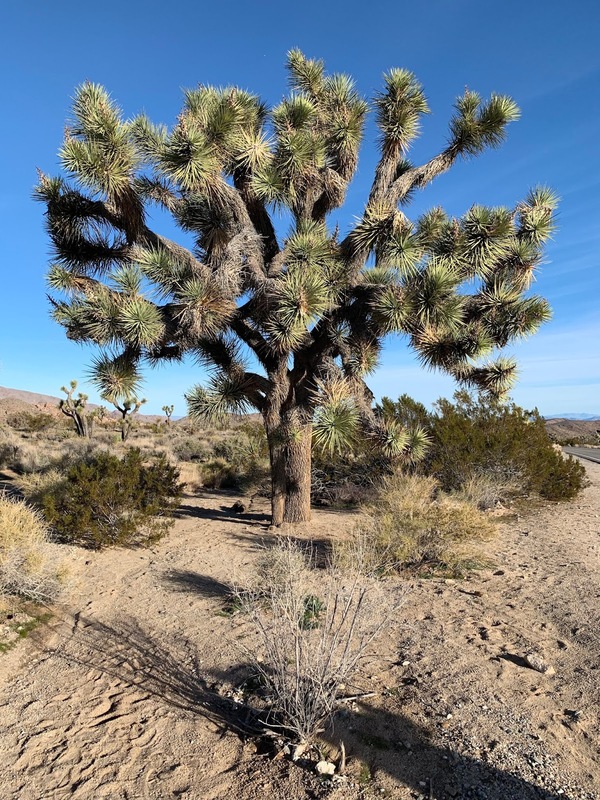 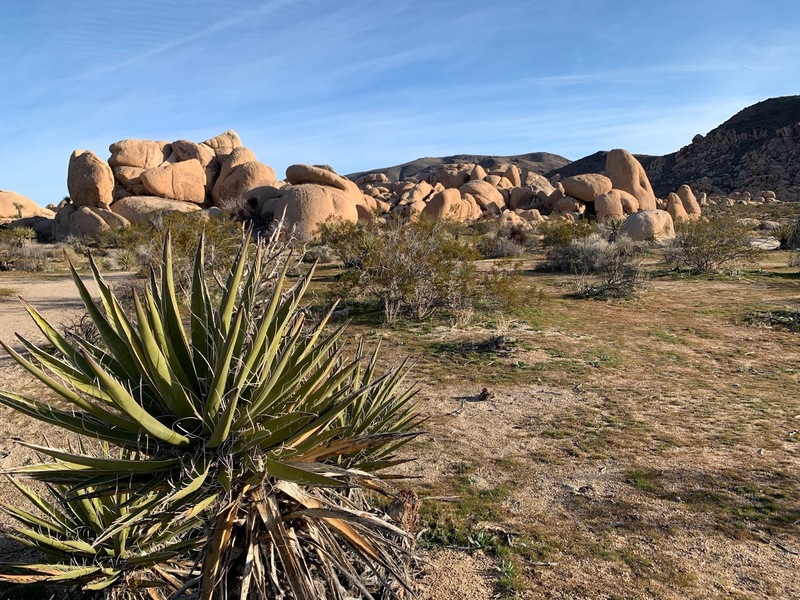 Joshua Tree is a unique park that straddles two desert eco systems. 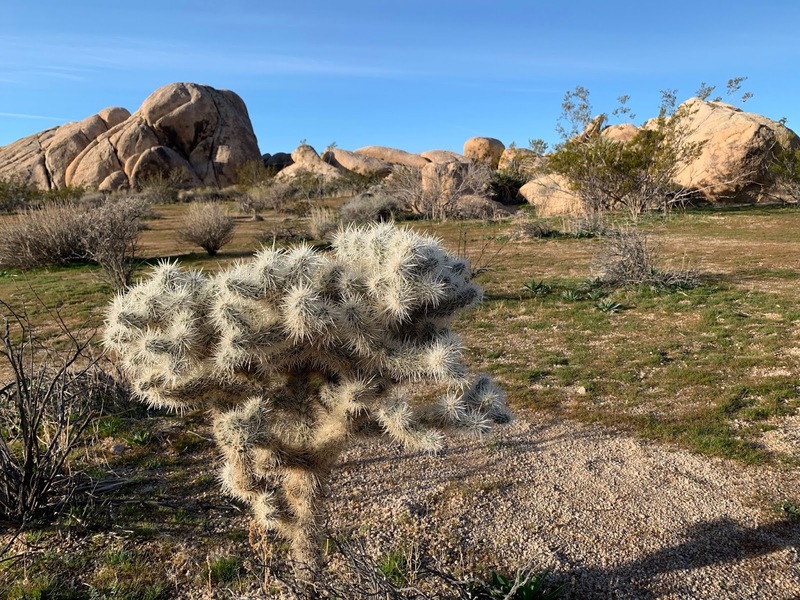 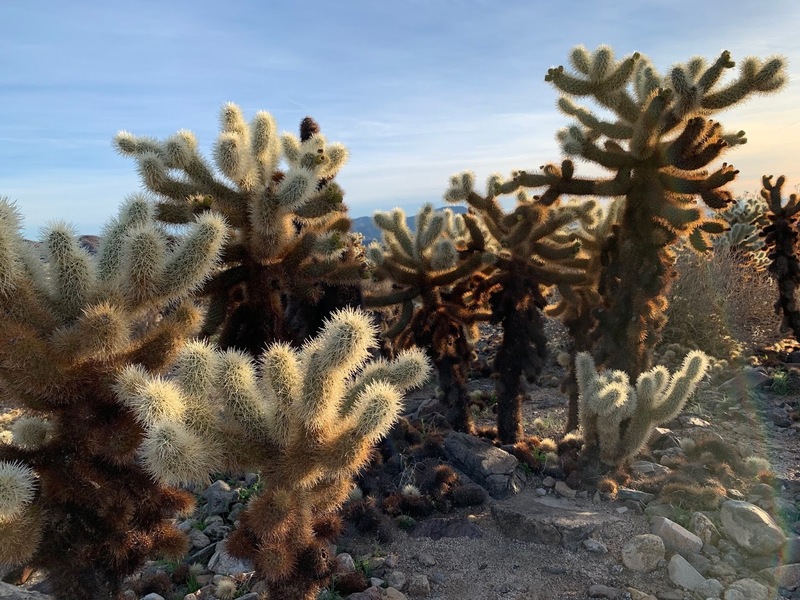 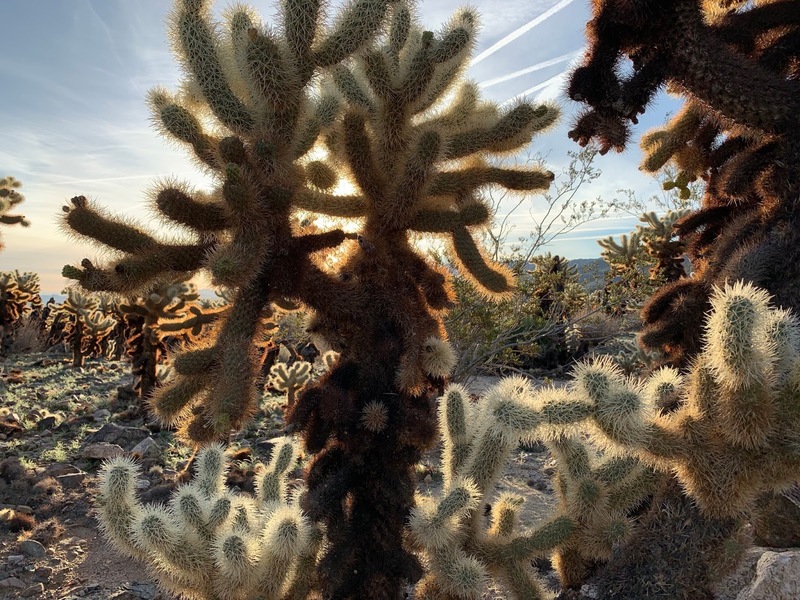 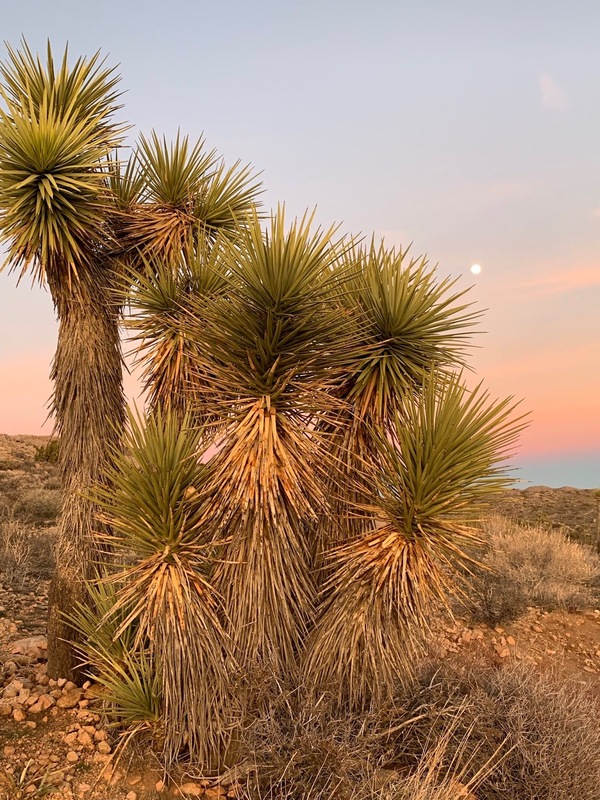 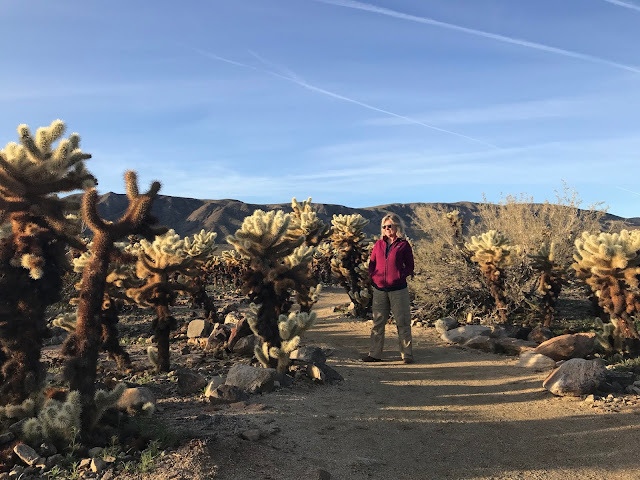 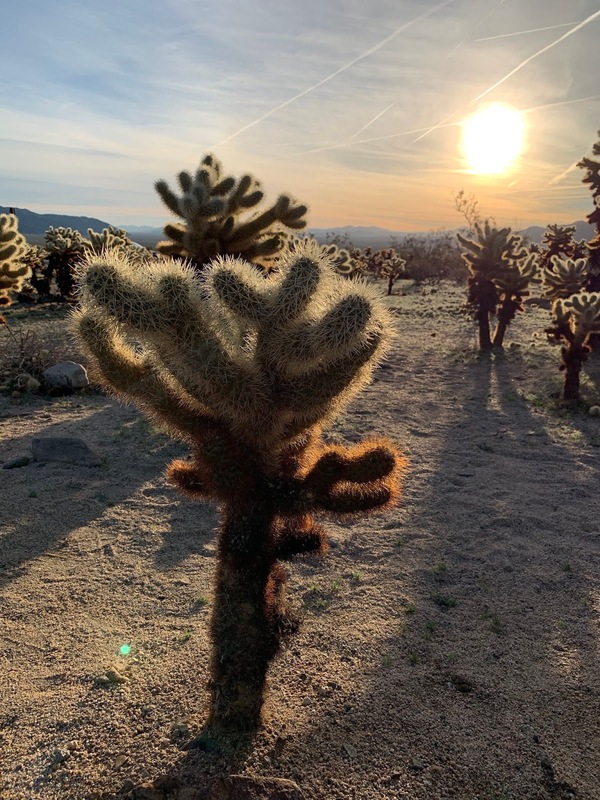 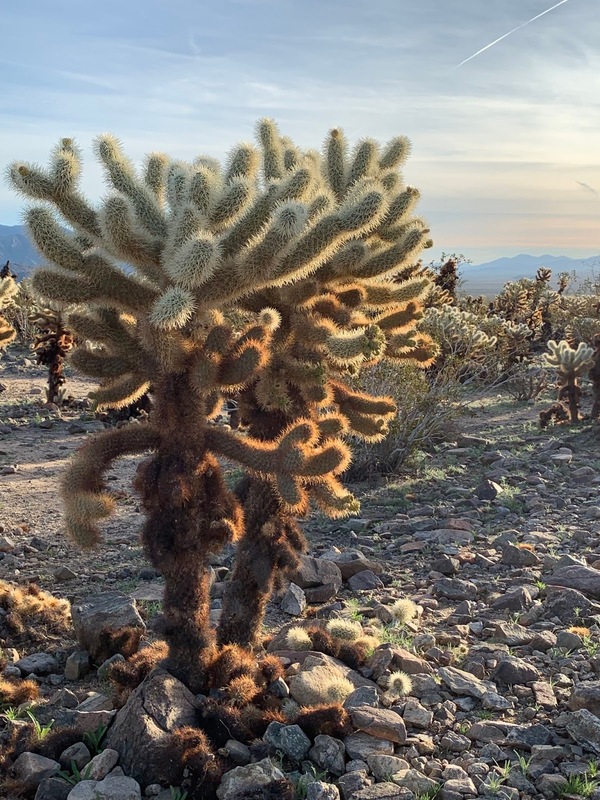 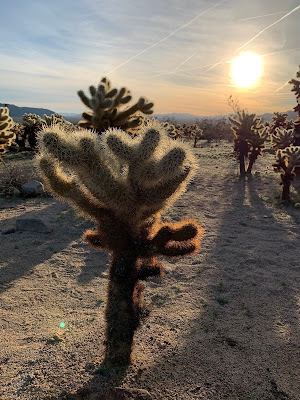 The Mojave is a higher cooler desert system than the Colorado desert which is much hotter and favourable to these Cholla Cactus, also called Teddy Bear Cactus because of their silvery spikes. The name Teddy Bear is misleading though because there are warning signs everywhere that these cactus spikes love to hop into your skin in a most tenacious and painful way. 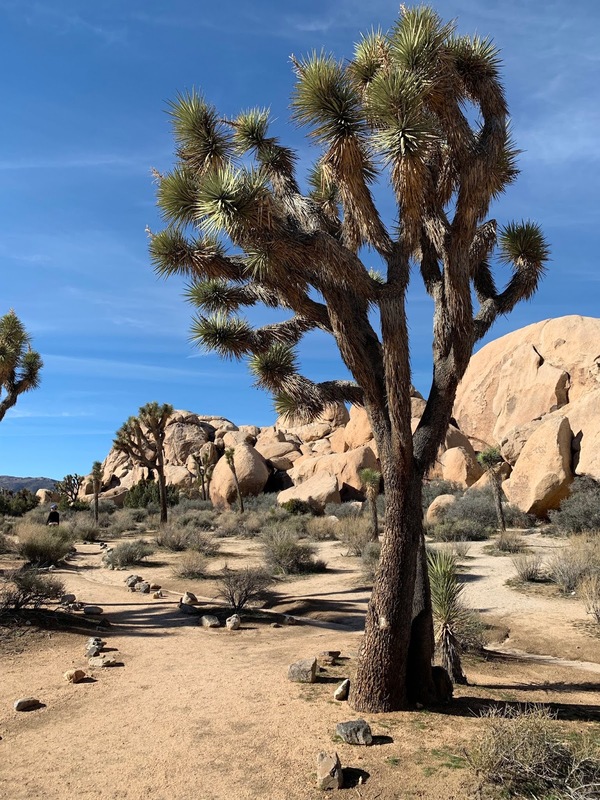 After a morning stroll through this garden of unearthly shapes, textures and colours our inner landscapes were aglow with a whole new palette of colours. 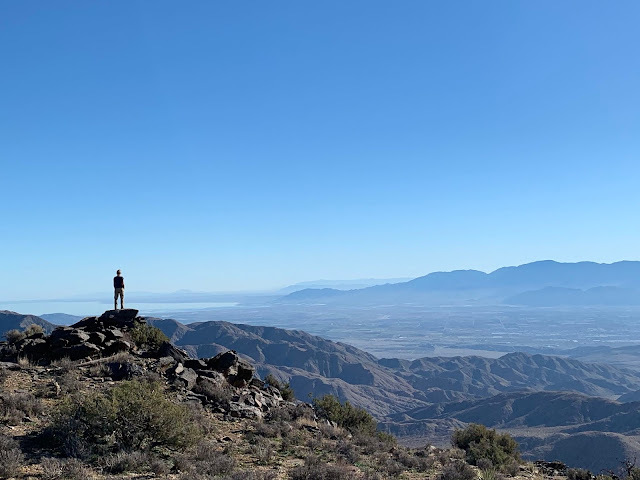 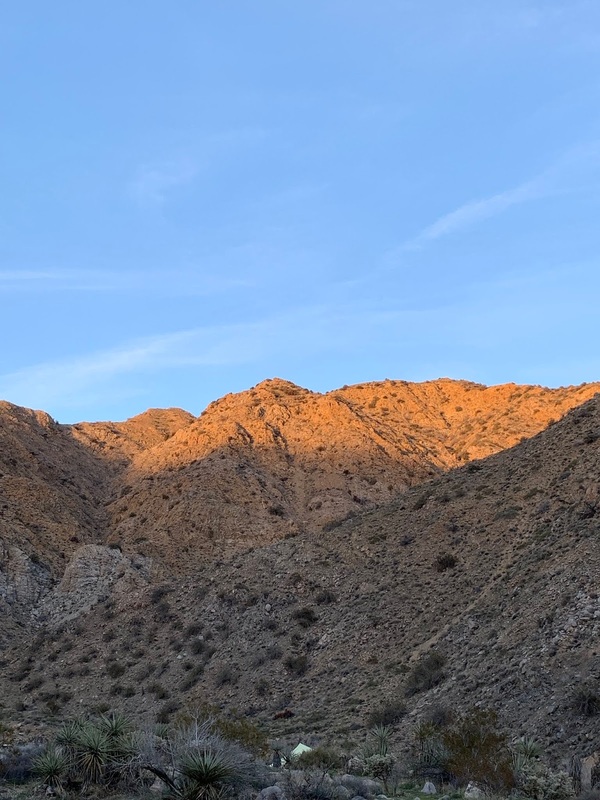 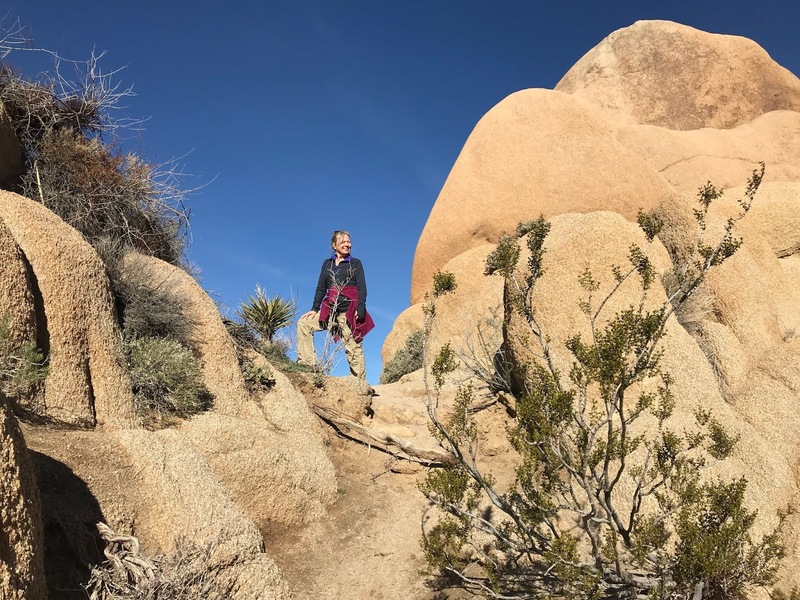 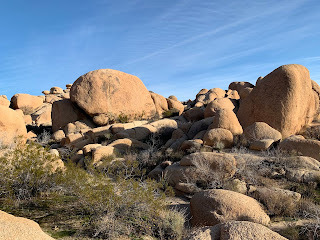 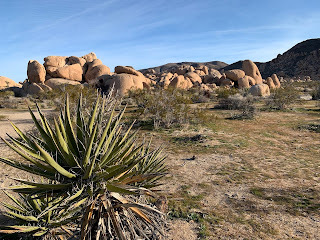 We spent the next few days climbing rocks and exploring the spaces and shapes that this desert landscape had to offer. 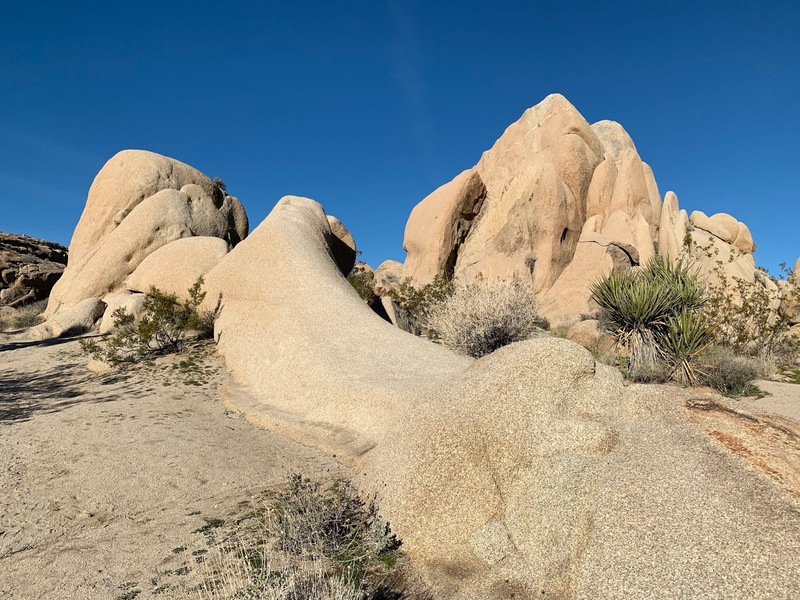 Often the eroded rocks were punctuated by negative shapes of blue sky that constantly reminded us of Georgia O'Keefe's paintings. Climbing those rocks felt so all embracing and it was easy to become a part of this landscape's bones. 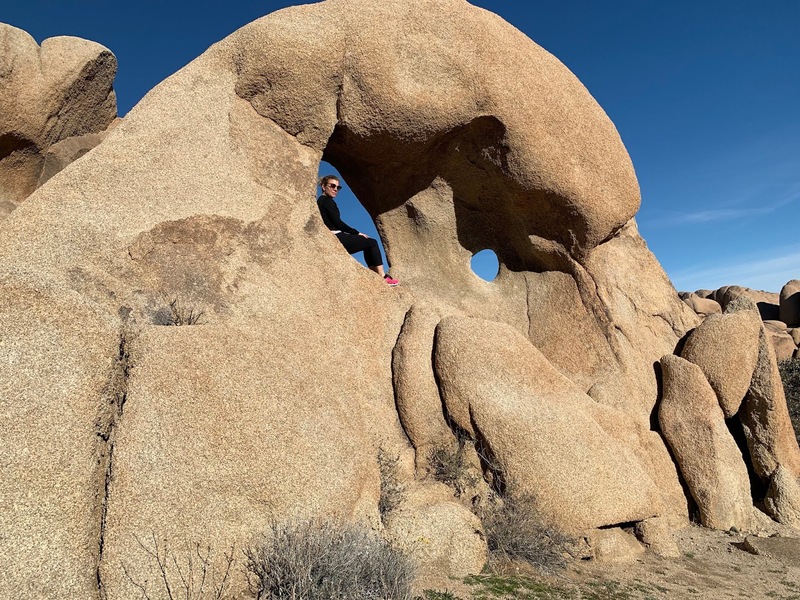 This ancient rock had been pushed to the surface from deep inside the earth millions of years ago. The wind, sun and elements have carved these rocks into desert beings that sit upon the desert floor and literally hum with energy. 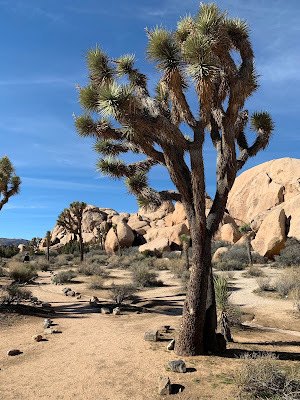 It is impossible not to be held in complete awe of their powerful presence. 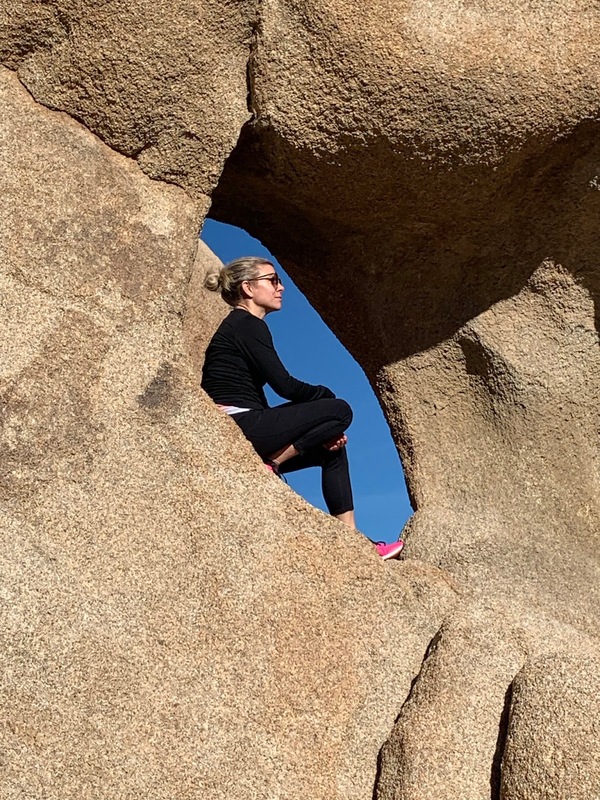 "Behind the thing seen must lie the greater thing unseen..."